Its the post that no one asked for but that your getting anyway! The name of the game for March was making a dent in the comics and graphic novels in my collection. Ok Team! Lets get a run down of what I read and how I felt. 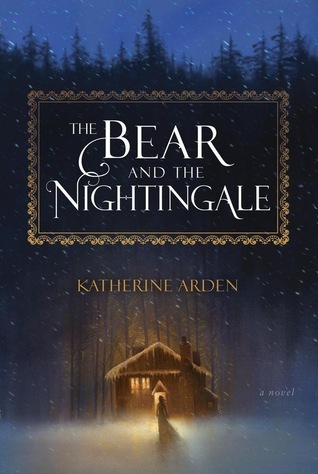 The Bear and the Nightingale by Katherine Arden: I started this one in Feb and finished it in early March. I was completely sucked in and only really stopped reading when I got super spooked in some of the later chapters. I really enjoy fairy tales and folk takes and was delighted to get some insights into stories of the Russian variety. I was also really interested in the way the church was portrayed, not as the enemy, but as deceived. 4.5 Honey Cakes out of 5. 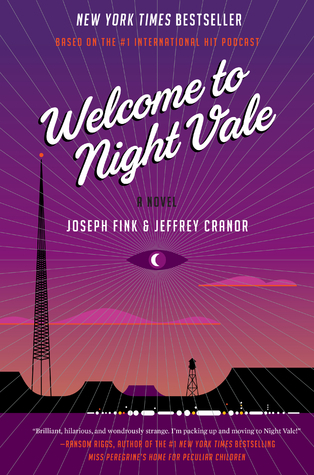 Welcome to Night Vale by Joseph Fink and Jeffery Cranor: I had such high hopes. I really love the Welcome to Night Vale podcast. Cecil and Carlos are my OTP and I am all about the episodic randomness that pulls together into a beautiful surprise. Unfortunately I just didn’t feel connected to either of the main characters. Neither Jackie or Diane really drew me in, and I was honestly much more interested in learning more about Josh or Old Woman Josie and the Erica’s. I did listen to this on audiobook, which is the only reason this got a 3 rather than a 2. 3 Flamingos out of 5. 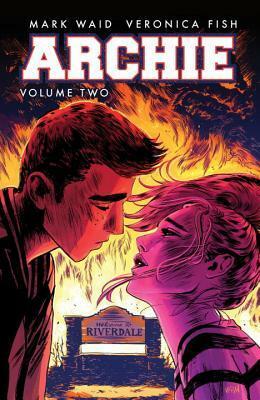 Archie Vol 2 by Mark Waid: I’ve really been enjoying the re-emergence of the Riverdale fandom. Archie himself has never been a favourite character, lets be real, he’s a total jerk. I’m here for Betty and Jughead and Dilton and Ethel. 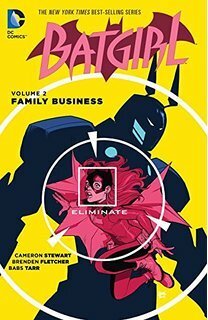 I’m not sure if I’m going to keep going with the next volume, not because I don’t like these last two volumes, but because I just don’t like Archie enough to keep investing $20 into these. 3 Fickle Redheads out of 5. 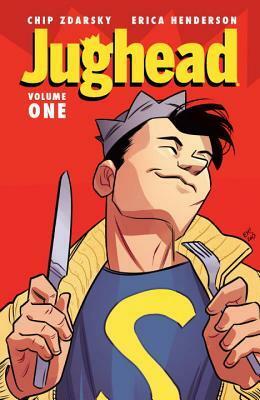 Jughead Vol 1 by Chip Zdarsky: This is what we are here for!! Juggie has always been my fav. He was snarky and sarcastic and just not about that date life. 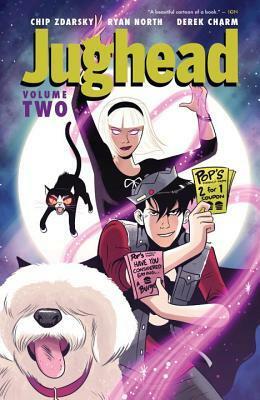 This first volume paid hommage to the classic Jughead stories and it made me so incredibly happy. Can we also talk for a moment about Juggie being asexual? As someone who identifies as demi, I’m all about this. Its only dropped in passing, but I’m happy they did it this way rather than making it a big production. 4 Burgers out of 5. 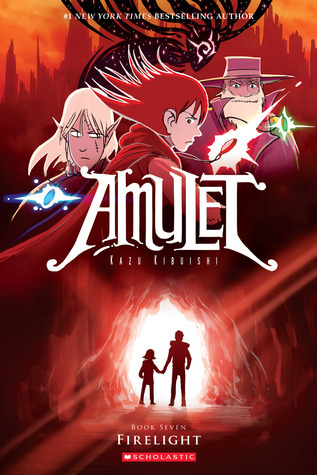 Amulet Vol 6 and 7 by Kazu Kibuishi: I’ve been working my way through this series and have been liking it quite a bit so far. The only issue I’ve had so far is that the story can be hard to follow at times. I’ve found myself needing to go back and reread sections, and in more then a couple cases, feel parts of the story are skipped over and we are expected to fill in the gaps. 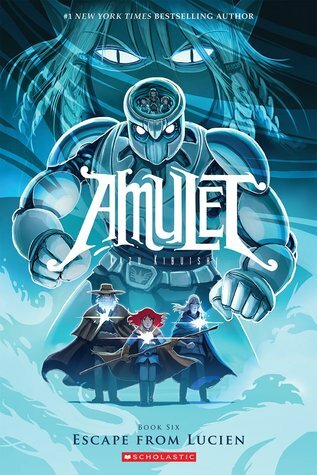 Its a very interesting fantasy story with a delightful mix of mechs and sci-fi. 3 Robot Houses out of 4. Chupacabras Song by Jim C. Hines: I have weird feelings about this one. I love Jim C. Hines. He is a phenomenal writer. I have loved everything I’ve read from him. Sure it can occasionally be a little fan servicey, but heck, you do you Jim. I had to read this tiny short story 4 times before I got a solid idea of what was going on. I’m not sure if I just wasn’t in the right headspace for the story, or if it just wasn’t up to Mr. Hines usual calibre , but this one wasn’t for me. 3 Magic Vet Assistants out of 5. Jughead Vol 2 by Chip Zdarsky: Yes, just Yes. 100x yes. This volume was perfect, it was everything I wanted and more. We get more Juggie, being Juggie, this time in less episodic and more slice of life story telling. Which is what I live for. We get to see Juggie interacting with his friends, and going on a date, which is a beautiful thing. That Juggie is ace is further developed in this volume and it truly gave me life. One of the things I found myself enjoying more than I thought were the interatctions between Archie and Jughead, where we explore how friendships change over time, and it was really delicately done. 5 Burger Women out of 5. 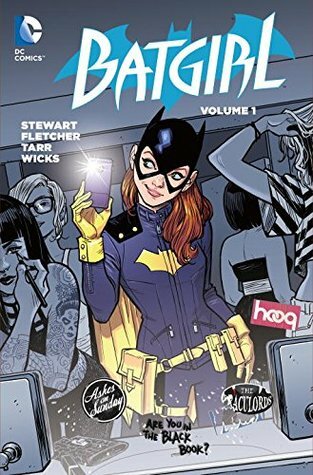 B atgirl Vol 1 and Vol 2. by Cameron Stewart: I don’t know team, maybe Batgirl just isn’t for me. Batwoman? Yes, always Yes. Batgirl… Meh. I had a really hard time with this one. I don’t know if its because despite this being a Volume 1 and 2 there is a tonne of back story that is hinted at rather then explained. I don’t think the story is inherently bad, it was just not an ideal jumping in point. I also found our main character to be rather dislikable over all. I’m down with flawed characters, and that your protagonist doesn’t have to be a nice person. I honestly just find her more annoying than anything. 3 Needy Batgirls out of 5. Scythe by Neal Shusterman: I need to stop trying to describe Neal Shusterman books to my friends. They can tell by my face how excited about them I am, but the content is so dark, and psychologically messed up that my friends become concerned. 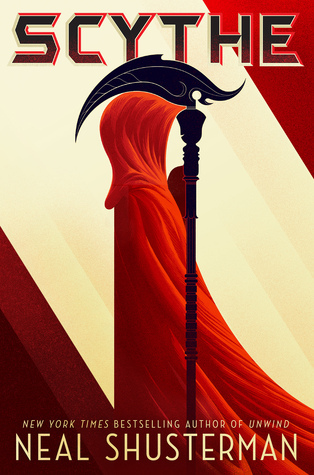 Scythe was absolutely phenomenal and I would 100% recommend. I will do a full on review of this one. I love it too much not to. Long Story Short: World without death gives two teens a license to kill. 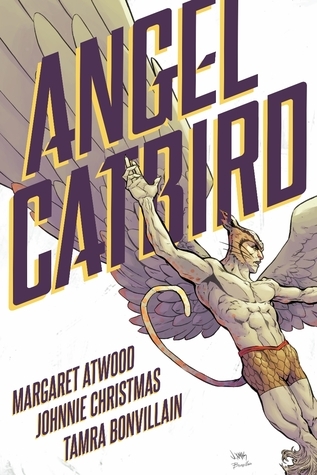 Angel Catbird by Margaret Atwood: I might have been mildly disappointed by Welcome to Night Vale, but that honestly is nothing in comparison to Angel Catbird. This thing was a monstrosity. Maybe it was intended to be one of those its “so bad its good” cult comics, but it blew past that and exploded into 3 years of unchanged kitty litter. Margaret Atwood has written a couple of my favourite books, and even though I had seen pretty brutal reviews for it, I wanted to give Ms Atwood the benefit of the doubt. This was a wrong choice. The art was good, but the dialogue was juvenile and story went from 0-60-300 in a matter of panels. The only reason my Goodreads says 1 star is because there is no option to give 0 and still give a rating. Thats it team. It was a pretty wild ride. I had some really amazing reads this month, and more then and a few disappointing reads. Heres to April and a beautiful new month of reading. This week’s Top Ten Tuesday over at The Broke and the Bookish is a Freebie. 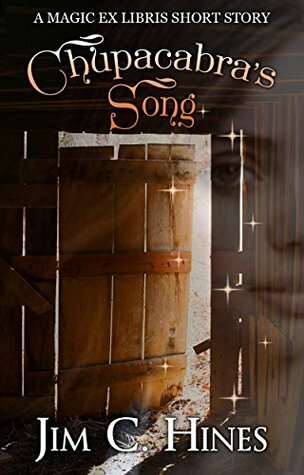 So I decided to delve back into the days of olde and ran off with topic #184 Top Ten “Gateway” Books/Authors In My Reading Journey. I feel like we all have those books that really launched us into reading. Whether that be a catapult into a new genre, out of a slump, or that magical first book that called your name and never really let go. 1. 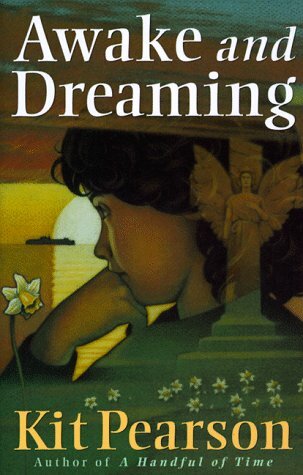 Awake and Dreaming by Kit Pearson: This book was incredibly pivotal in so many ways. Its one of the first books that I very distinctly remember reading. I remember taking out of our third grade classroom library, and being completely immersed in Theo’s world. It featured a young Canadian girl who was a social outcast who coped by reading books, and I instantly connected with her. I had used the library as a sanctuary in the years before, but this cemented reading as both an escape and a pleasure. Kit Pearson remains one of my favourite children’s authors. 2. Guardian of Isis by Monica Hughes: Ahh… a girls first science fiction. I cant remember for the life of me how I stumbled upon this book, but I know that it was in Grade 5, and if they hadn’t torn down my school I could have walked you right to its place on the shelf. Its a shame that I ran into this book first, as its the second book in the trilogy, but given the way it was written it didn’t take too much away from the story. I would later read and fall in love with the whole story, and I credit the third book with being the first book to ever make me cry. 3. Dragons Milk by Susan Fletcher: I feel like a common thread with these books is how vivid the memory is to me of where I found them. This gem came to me at the local library, during a summer reading program. Like all good novels in the 90’s, it had a beautifully illustrated cover and an interesting enough synopsis inside the dust jacket. What little girl didn’t want to read about a brave young girl who risked her life for her sister, and gets to babysit dragons? This one was a heart breaker and is credited as being the second book ever to make me cry, and the first book I threw in frustration. 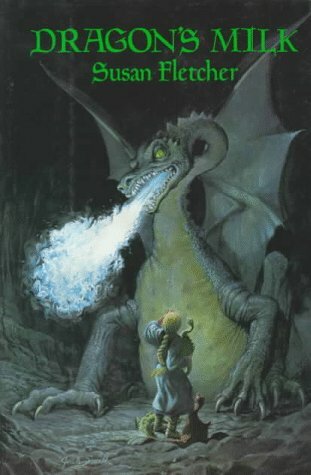 This also kicked off a love of fantasy novels. 4.Beauty by Robin McKinley: I grew up on Disney, if it was out on VHS, my mom probably had it. My favourite above all these movies was Beauty and the Beast. Belle is smart, and beautiful and brave, and witty and honestly the best princess ever. So when I found Beauty, it was like finding the biography of a character I already knew I loved. McKinley pours so much new and exciting mythology into Beauty, and I found for myself a genre that would be come one of my all time favourites. Fairy tale retellings rank high in library all because of this gateway book. 5. The Chrysalids by John Wyndham: I was lucky enough to attend a high school that had an English AP route. This meant that I got to take two semesters of English every year rather than the regular one. Some might count this as hell, but I loved it. Part of joy was being in a class with other students who enjoyed English, and a teacher who got to teach kids who didn’t hate being there. One of the books that we got to read was The Chrysalids. I fell in love instantly with this new and strange world. I loved the idea of a world gone wrong, and people striving to cope within it. I recall asking after we had finished reading this if there were any other books that the teacher could recommend and he mentioned 1984 and Brave New World. My love of dystopian was born. 6. 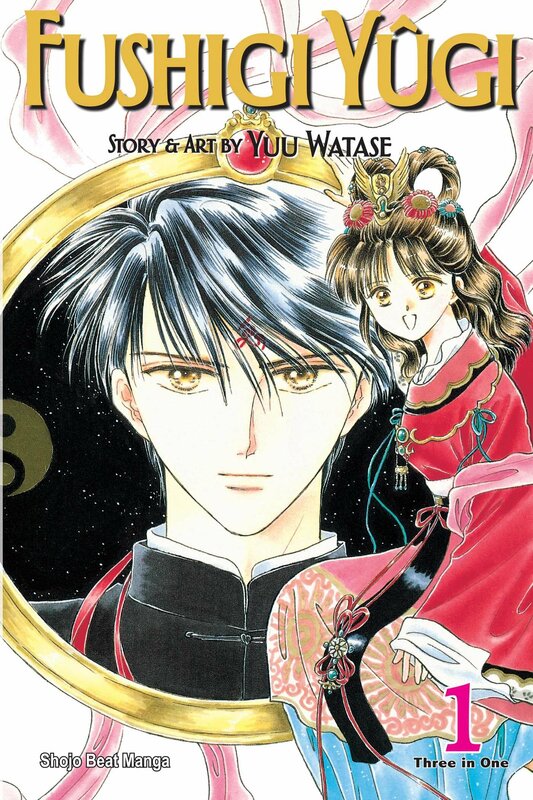 Fushigi Yuugi by Yuu Watase: My first manga series. It was wonderful and weird and I didn’t understand all the references, but the art was spectacular and was being told stories unlike anything I had ever read before. The mythology and story telling fresh and brand new and I couldn’t wait for the next volumes. Thankfully I came onto this series once it was finished, and it was owned by one of my friends who was amazing enough to lend me the staggering (at the time) 18 volumes. I fell madly in love with this style of story telling and am an avid reader to this day. 7. 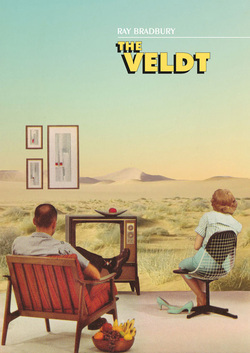 The Veldt by Ray Bradbury: Is it considered cheating if I pick a short story? Its going to happen either way, I just want to know so that I can really own it. I read this short story in grade 11 English AP, and i think I can speak for a fair portion of the class when I say that the story is really unsettling. Its like it crawls into your body and shifts your bones two millimetres to the left. I found myself thinking of this story for years after I had read it. And while I had read Fahrenheit 451 (an abandoned copy I found in my pop culture class room) I never connected it to The Veldt. I was absolutely overjoyed years later to find out that the two works were related by Bradbury, and I was able to pick up a copy of The Illustrated Man, which is my favourite short story collection. 8. 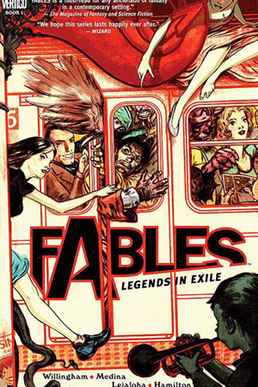 Fables by Bill Willingham: I had read countless Archie comics in my growing up, and while I adored them I never really thought of them as books. They were kind of like a sub-genre of magazine. While I knew that graphic novels were out there I was pretty much convinced the only thing out there to was super heroes or arthouse style pieces. 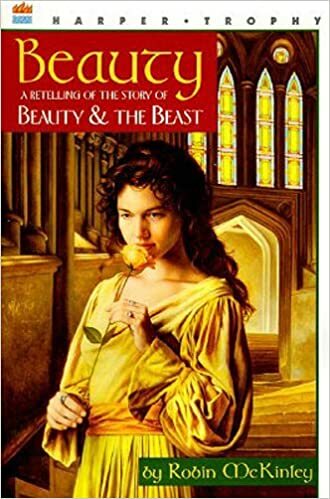 Much to my delight, on my search for more Fairy Tale retellings, I was steered toward Fables. Just like with manga I found a world with beautiful and amazing illustrations, that told stories in whole new ways, and had tiny nuances I never would have imagined. I eventually fell head over heels with graphic novels, both with its more common comic form (superheroes and the lot) and with all the amazing stories that cross all genres of fiction and non-fiction. 9. 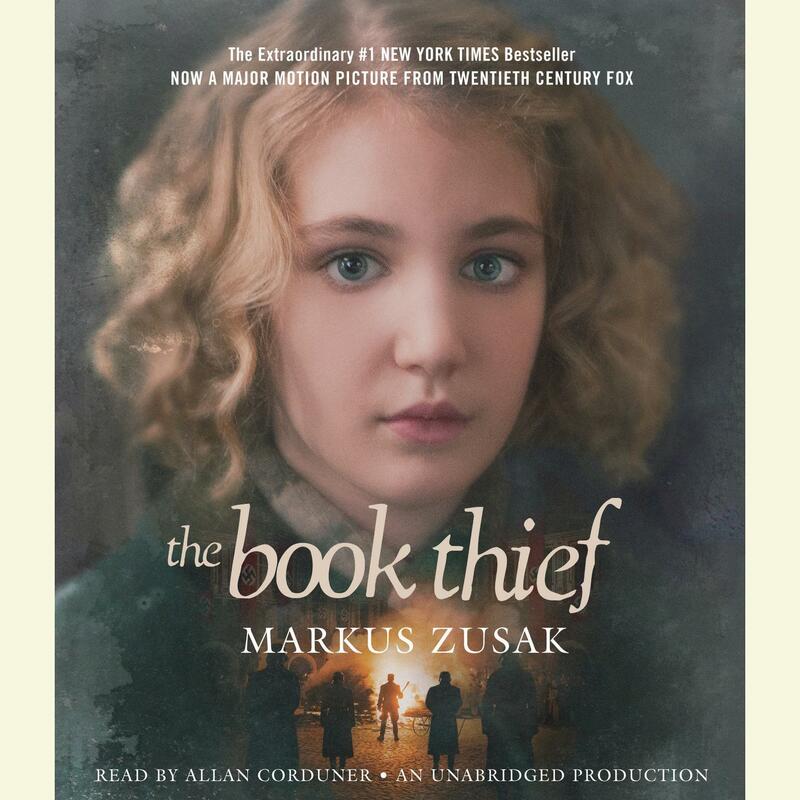 The Book Thief by Markus Zusak: The first time I ever experienced this book was via audiobook. It was the first audiobook I had listened to since I was a child. I can remember those audio books very clearly, on their cassettes sitting in the big tupperware in the car on road trips. I remember the narrators voice being spooky and giving me nightmares. No nightmares from the Book Thief, just uncontrollable sobbing. Which if you are driving down the highway at 110kph, is a really bad idea. Its not like I didn’t know what was coming, the book is narrated by Death after all, but this book was so impactful, and the narrator scream crying through my speakers struck me to my core. This a audio book taught me the incredible importance of a good narrator. So I didn’t quite make it to 10, but I’m pretty dang proud of cracking out as many as I did. Comment and let me know which books kicked off your reading! A little blog that I hope will bring love back to reading. To take away the over analyzing, and replace it with the sheer joy a great read can bring. Where You Go I May Not Follow Create a free website or blog at WordPress.com.